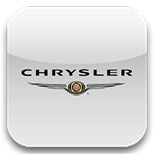 If you have lost your only Chrysler car keys do not worry, we have specialist diagnostic equipment which will allow us to visit your vehicle at the roadside and program replacement keys and remotes without the need to have your vehicle recovered to the main dealer. Up to the year 2005 many Chrysler keys can be cloned, at Devon Car Keys (part of Devon Security) we have specialist equipment to allow the information from your existing key to be transferred onto another key, thus making a spare key easy to obtain. After the year 2005 additional keys will require programming diagnostically with our specialist diagnostic equipment.